Pitchfork recently ran a review of the Eaters LP, my collaboration with my friend Bob Jones. There are a lot of great quotes (“the textures on Eaters are beautiful: Grim and subdued but so rich you could raise tomatoes in them”), and it’s honestly just amazing to see our personal project recognized on such a large scale, regardless of the just-ok score and slightly slighting tone. Mixed emotions for sure, so we spent the rest of the day making a track for an ambient compilation due later this year – can’t wait for everyone to hear it. 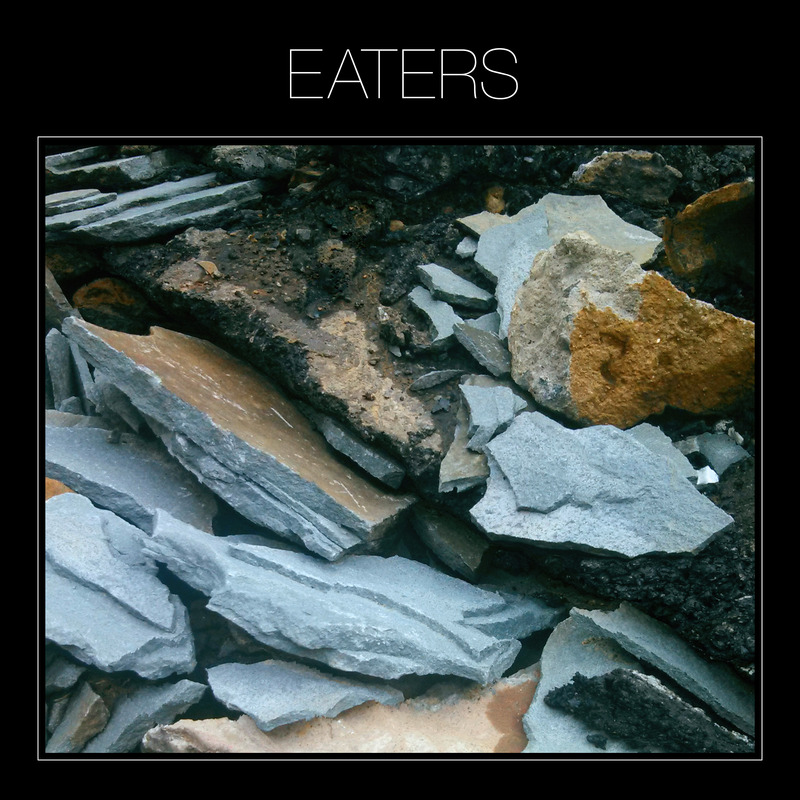 Eaters are playing two very different but equally exciting shows in a couple weeks. 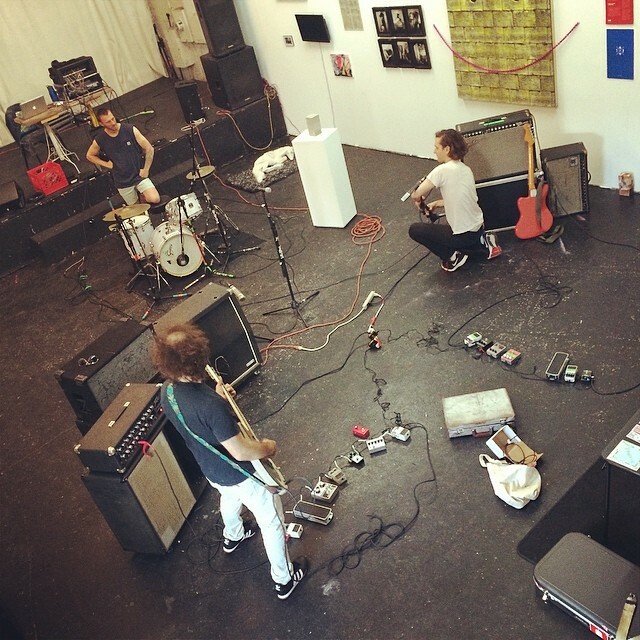 The first is Friday July 11th at Glasslands Gallery, opening for !!! – tickets are going fast, but some are still on sale. If you can’t get a ticket in time or just would prefer to watch synthesizer music on the beach, then you should come to the Brooklyn Vegan/Dull Tools Beach Party! 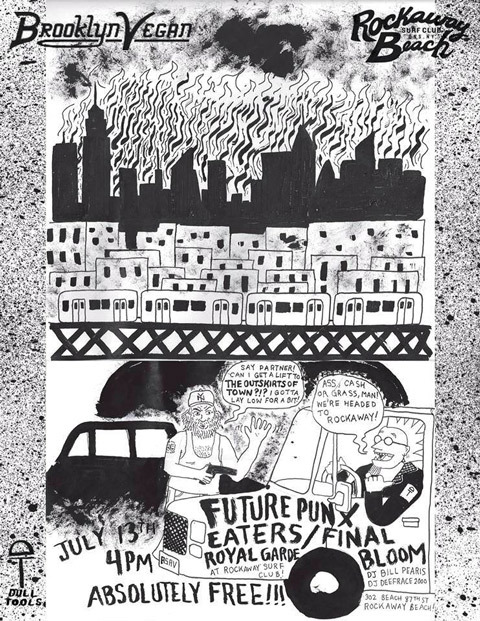 It’s taking place Sunday July 13th at the Rockaway Beach Surf Club, and we’ll be playing alongside our friends Future Punx, Final Bloom, and newcomers Royal Garde. I’ve seen Future Punx absolutely slay the last couple times they played and they’re some of my best friends around town, so it goes without saying that I had a blast working with them on their new EP I’m So Inspired. Jason Kelly (funkiest drummer I know and a walking-talking-smiley-face to boot) did a fantastic job of recording and preparing the mixes, which I spruced up and spazzed out at Doctor Wu’s. It sounds as epic and fun and trippy as you’d want a band called “future punx” singing “see you in the future” to sound – really epic and fun and trippy! I mastered the thing too, which should drop later this year. And while we’re on the topics of “fun”, “trippy” and “beaches”, I should probably talk about making the new Beech Creeps record. They’re a trio of dudes who played in bands like Pterodactyl, Ex-Models, and Yeasayer, and the album’s equal parts noisy, catchy, and goofy. It’s kinda like if the Melvins wrote a record harnessing the good-time riffage of bands like Thin Lizzy and Blue Cheer, which was then turned into a beach-themed Saturday morning cartoon. We recorded it live at Secret Project Robot and mixed it at my home studio. Oh, and if you’re a granola-eating hippie like me, you should make a point of trying the Coconut Almond Beach Crunch flavor of Mark’s Monster Crunch. It’s incredible!! I started playing and recording music in the midwest, first in Cleveland then in Chicago, and met a lot of amazing musicians along the way. Among them were a crew of Bloomington, Indiana folks like Elephant Micah, Bronze Float and Vollmar. It was a nice surprise then to get an email from David Brant of Bronze Float, asking if I’d be interested in mixing and mastering his new album Standard Candles. It was recorded by Joe O’Connell (aka Elephant Micah), and features performances by members of his old band and Vollmar. The songs are both deeply melodic and humble, reminiscent of records by Lou Barlow, Skip Spence, and Arthur Russell (in his Love is Overtaking Me vein). It was wonderful to reconnect with David, and I’m just happy to have played a part in getting these songs out there and restarting this project. 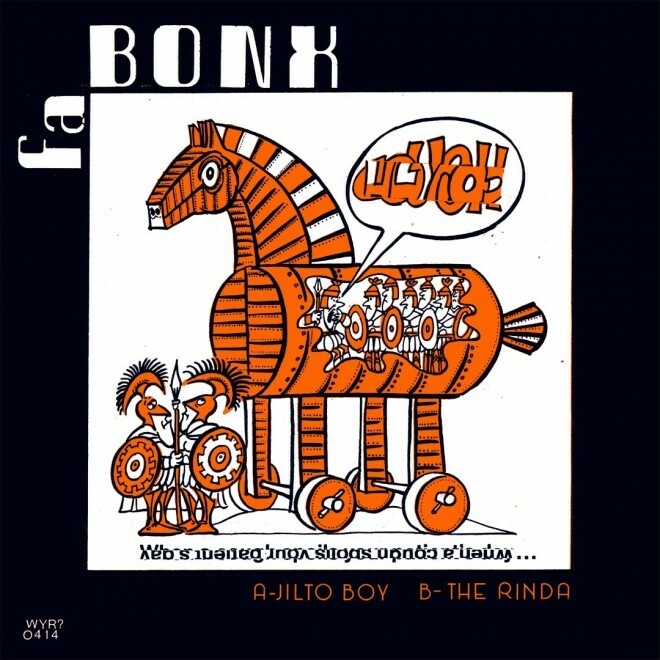 I also recently mixed and mastered the new single by glam-punk duo Fa Bonx. I really dug working on their first single (‘Jilto Boy’ b/w ‘The Rinda’ on What’s Your Rupture? ), but this new one blew me away! I found this review of ‘The Rinda’ up on Pitchfork (“an immediately gratifying burner… wide-eyed, candy coated rock’n’roll”), and they recently did a hilarious interview with CMJ. 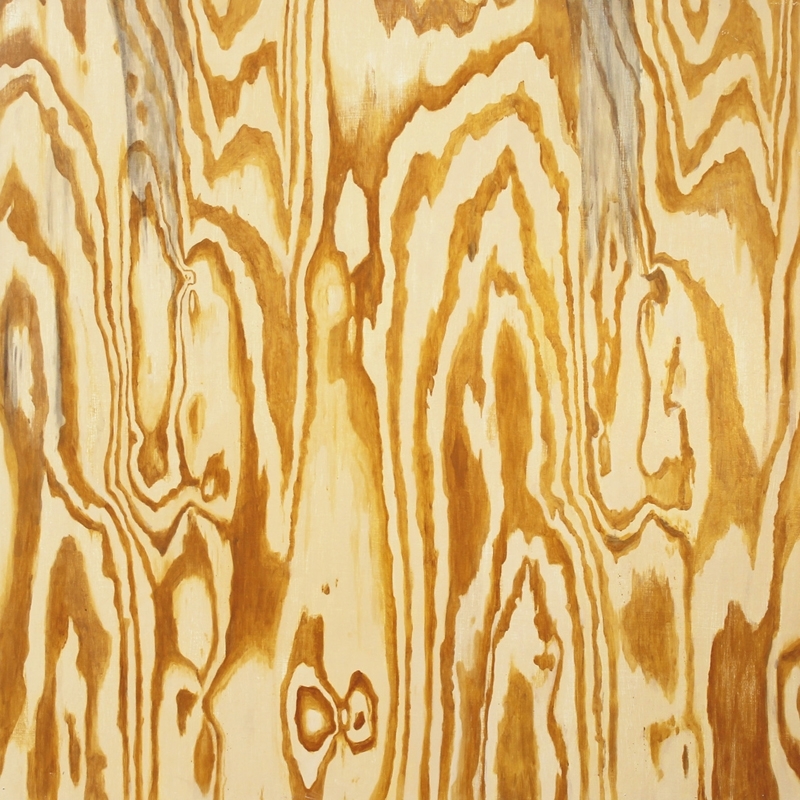 I’m thrilled to be able to share this first song “Astigmatism” (via Spin) from the upcoming Mazes record Wooden Aquarium, due September 9th on Fat Cat. We recorded this upstate at the Fat Cat studio to 2″ 16-track tape in the middle of multiple blizzards, and mixed it over at Doctor Wu’s. It was a wonderful experience, walking away from the sessions with not only an incredible sounding record, but some really good new friends as well. I miss these guys, damn Atlantic Ocean… Heather Strange from Future Punx and I did backing vocals on this record, and Teenage Cool Kid/fantastic painter Bradley Kerl did the artwork. And Parquet Courts continue to bring in the accolades, from Rolling Stone naming ‘Raw Milk’ the number 1 song-of-the-year-so-far, to a write-up in the Guardian, to a review on NPR’s Fresh Air. If you haven’t heard Sunbathing Animal yet, me and everyone else don’t know what you’re waiting for. Also: Careers, the Beverly record by my friends Frankie Rose and Drew Citron., is out this week on Kanine Records. I did some tracking with them early on in the process, and to be honest, I’m not sure how much of it made the final cut…. drums on 4-5 songs, some vocals I think, maybe some guitars and bass? Regardless, it’s a fun blast of Amps-style buzzy pop music with gorgeous harmonies, mixed by my studio partner Yale Yng-Wong at Doctor Wu’s.